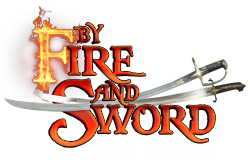 We present you a short demo of the Polish edition of By Fire and Sword Rulebook. This is not the final version of the book (there are still some mistakes in there and some of the graphical elements will be changed). Non the less the final version of the Rulebook will be very close to the one you see here. We hope that you will like our work. We look forward to your feedback. The first edition of By Fire and Sword painting competition is over. We assessed both painting skills and historical accuracy. Only 3 awards were supposed to be granted but the jury decided on an honourable mention for Corsari (Swedish Dragoons) for his outstanding historical accuracy. All participants that entered their works for the contest will receive a gift in the form of a unique Rembrandt figure by Rafał Szwelicki. In addition everyone will also receive another gift in the form of By Fire and Sword terrain. Awards and gifts will be sent along with the next order from Wargamer net store or you can get them personally from a Wargamer store of your choice. With this all boxed sets finally have photos on our website. We are working on the composition of the rulebook. Unfortunately it is very time consuming. Due to this the Christmas deadline, that appeared somewhere on the forum will not be kept. In order to cheer you up we will soon post a few sample pages that will allow you to have a “taste” of what’s coming. At the moment we are focussing on producing as much existing figures sets as possible so that we will be able to supply By Fire and Sword to stores before Christmas. For this reason all new sets, despite being ready for casting, will have to wait.